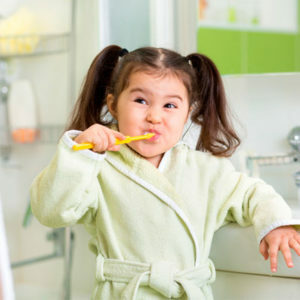 Brushing your child’s teeth is one of the most important things you can do at home for your child’s teeth. We recommend using a toothpaste that is recommended by the ADA (American Dental Association). Some pastes can contain things that are too tough for your child’s young tooth enamel. We carry several types in our office so ask us for more details. 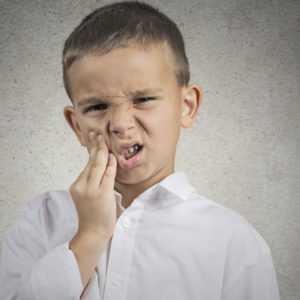 Childhood teeth grinding is also referred to as bruxism. Parents frequently come in with concerns of the noise they hear their kid’s teeth are making at night. You may also notice the impact that grinding has on the height of your child’s teeth. Teeth can get shorter from the stress that grinding has on the dentition. There are several theories surrounding why kids often grind their teeth at night. The two most common are: stress due to changes in environment (home, school etc.) and pressure in the inner ears at night (like chewing gum while flying). Either way, the majority of kids with pediatric bruxism do not need treatment. If there is evidence of excessive wear on your child’s teeth, one of our doctors may recommend a night guard. Most children will outgrow this condition between the ages of 9-12 and it will decrease over time as they reach the 6-9 age range. Fill out the form below and we will be in touch with shortly!